CAGE was founded in 2015 by a group of trained Classical Khmer Dancers from Philadelphia. We seek to build a more sustainable and accessible pathway to the arts and activism. 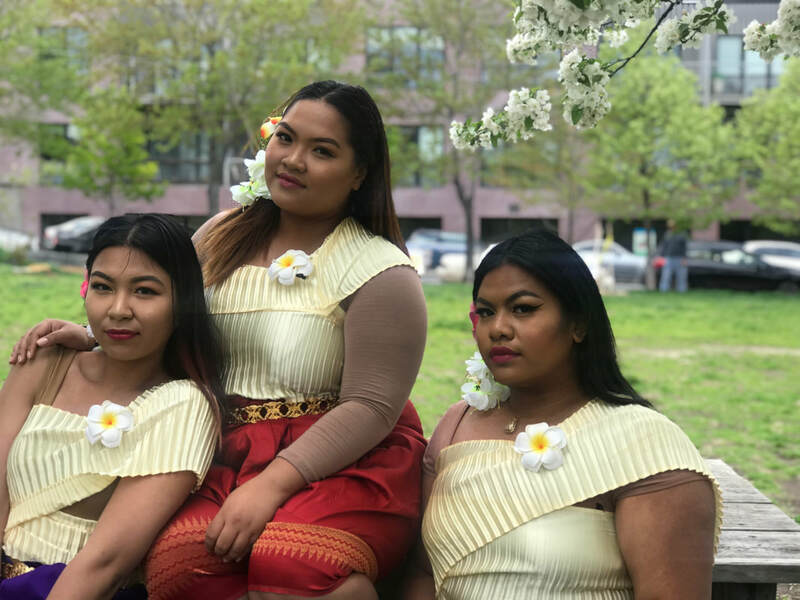 CAGE's mission is to create a safe space where Khmer Americans feel safe and free to explore and/or learn more about their shared identities, culture, heritage, and history. We seek to foster a group of individuals who use art as activism to foster power in each other, ourselves, and our shared communities. We are a group of second generation Khmer American feminists seeking to dismantle systems of oppression while also practicing restorative resolutions. We do not tolerate any form discrimination, harassment, racism, sexism, ableism, etc. Currently, CAGE is offering performances for private and public events. We offer this service as a way of preserving and sharing our art and culture. Lanica Angpak, founder and director. Lanica is a second generation Khmer American. She started dancing at the age of 2 years old, but formally began her training when she was 7 years old. Currently, Lanica is a teaching artist with a passion for bringing together arts and culture with social justice and youth leadership. Her professional career is focused on community organizing, youth development, and program development. In 2015, Lanica was awarded the Leeway Foundation's Transformation Award for her work in the community and arts. With the Transformation Award, Lanica will dedicate her time to building on CAGE's mission. In 2018, Lanica was appointed to Pennsylvania Governor Tom Wolf's Advisory Commission on Asian Pacific American Affairs. She is a part of GACAPAA's Civil Rights Tasks Force. Melinda Son is a second generation Khmer American. She is a trained Khmer Classical dancer and vocalist. Currently, Melinda is a student at the Community College of Philadelphia and a mother of 2 boys. She is dedicated to preserving and amplifying the presence and beauty of Khmer arts and culture.